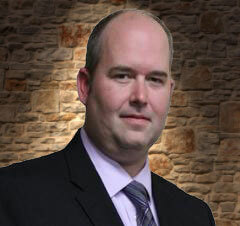 Stephen MacLeod, Sales Representative - Northern Pride Real Estate Brokerage Ltd.
Stephen is a Sales Representative who is passionate about helping his clients get the best price for their home, as well as finding the perfect place that his clients can call their home. He believes there is a difference between a house and a home, as a house is just a building but a home is where you can relax and enjoy your time with family and friends. His highest priority, besides his family, is his client’s satisfaction. He’s not happy until you’re happy!